Greetings in Tigrinya, of the Tigray people of Northern Ethiopia and Eritrea. 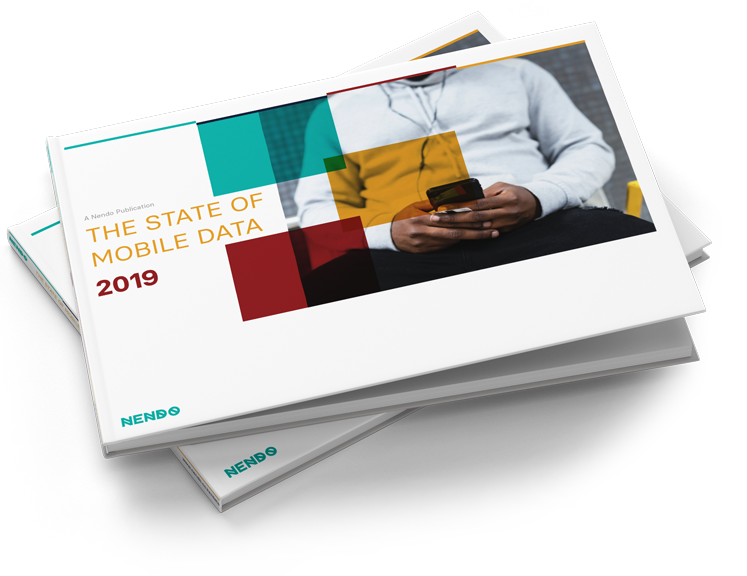 Those that were ranked top in our study were Liquid Telecom, KCB Group, Huduma Kenya and Kenya Airways. 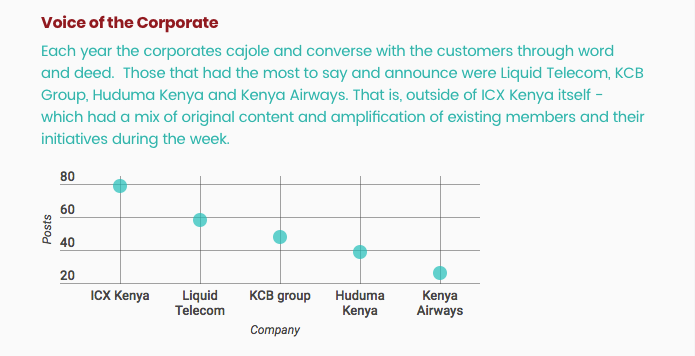 While the hugely popular #TweetLikeKCB challenge put KCB at the top of the chart for brands with the most customer responses to their activities during the week.We also monitored the conversations and it's safe to say that customers were not fooled. They consistently spotted brand inconsistencies, unreasonable service delivery and unscalable tactics, making sure brands were called out for them. 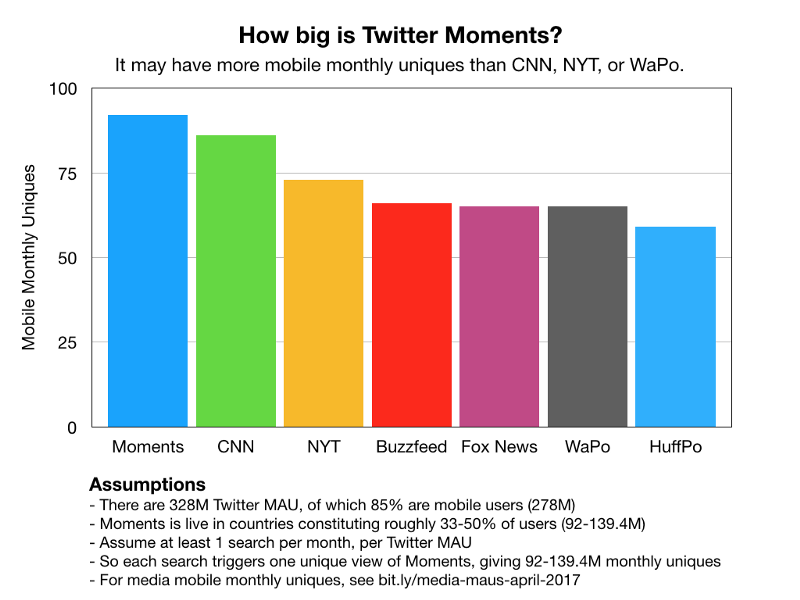 Speaking of Twitter, I'm intrigued by how big Twitter Moments is, relative to large publishers. It has 92M monthly active users. If you look at it side-by-side with other publishers, this means it probably has a captive audience that’s larger than CNN, the New York Times, or even the Washington Post. Yet surprisingly few people know it by name. Readers are individuals, not the atomic components of a marketing strategy.This article on a successful membership-driven business model for news is one of the more inspiring things I've read. The 12 principles for in-depth, ad-free journalism sound like a utopia, but De Correspondent is proving, so far, that heaven is a place on earth.What's so profound to me is that if a news media outlet is member-funded, their entire worldview can afford to be radically different. It is a very provocative article that challenged the way I see news, media and our attention-deficit landscape. If interests align a new way and we vote not just with our eyes and time, but with our wallets - the amazing thinking and possibilities enchant me.As an interesting note, each of their 30+ journalists has a personal newsletter to draw in readers and they make (approx) $6 million per year, which I'm in awe of. When your cluelessness about African geography becomes a viral marketing campaign is an analysis of a brilliant campaign by ONE.org. You might have come across it in the last few weeks. It was created to shed light on the plight of women in countries where education is not considered important for girls. South Sudan, Central African Republic, Niger, Chad, Mali, Guinea, Burkina Faso, Liberia, Ethiopia, and Afghanistan are listed as the ten hardest places for women to get an education.Six days into the campaign, more than 1.5 million people have completed the quiz, and 340,000 people have signed the petition following it. According to ONE.org, women in these countries spend only two years of their lives in school on average.For-purpose campaigns like this, delivered with a simple, yet captivating call-to-action on a digital asset like their landing page caught my eye. Transformative digital thinking we can learn from in an age where we could end up rather cynical about technology and social media. I've had another podcast-filled week with some intriguing thoughts still lingering that I'm going to go on and share. This week it was listening to Shane Parrish interview Ray Dalio, founder of Bridgewater Associates, the world's largest hedge-fund. His ideas for an ideo-meritocracy and 'tough love' in the workplace and on teams are brilliant. He has a TED talk if you prefer to catch the shorter version. Listen to Ray & Shane or view the blog post with the background and details. ➡️ Simmering is when you’re the other person’s plan B. ➡️ Icing is when someone behaves very cool towards you. Responses come sporadically and will be more generic than specific. ➡️ Ghosting is the worst of them all. They stop responding to calls, texts, or online messages. The lies we tell ourselves and others such as “I didn't see your text” had me taking pause, in the middle of my drive and traffic. I hope it provokes thought this long weekend, too. I'm particularly notorious with WhatsApp and it made me rethink that. Happy Mashujaa Day and enjoy the long weekend for those in Kenya. It's been a short week here in Nairobi, but I still recommend unplugging those devices. You can always write me or hit reply for us to speak about whatever's on your mind, whether inspired by this newsletter or something else.